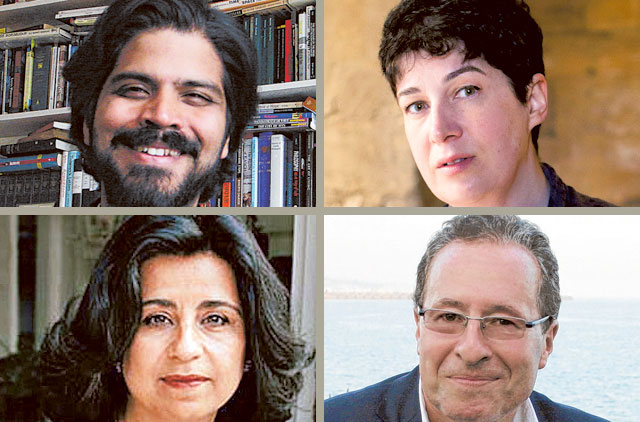 Dubai: Literature aficionados can look forward to a line-up of poetry under the stars, how to reshape your life and understand the ins and outs of how to get your works published — all during the literature festival that kicks off tonight. The sixth edition of the Emirates Airline Festival of Literature, being held from March 4-8, features more than 160 authors who will share their wisdom after years in the publishing industry, ranging from the well-being of women’s lifestyle to aspiring authors. The international line-up represents 40 countries including renowned literary icons Mohammed Achaari, Jim Al Khalili, Paddy Ashdown, Pam Ayres, John Boyne, Jeremy Bowen, and Jeremy Paxman. “The atmospheric Desert Stanzas and Murder Mystery Dinner will be back by popular demand, while a new event, Friday Rhythms, will bring music and poetry together on Friday night. Female Focus will be the principal feature of Thursday morning. The Festival Prologue 2014 is again new with in-depth workshops,” she said. To address the great demand for writing workshops, the Literature Festival this year launched the Festival Prologue, a series of intensive two-day workshops on creative writing, in English and Arabic, script-writing and paper sculptures. Organisers have also confirmed that calligrapher Long Kaisheng and poet Yan Li from China will be joining the LitFest line-up along with former IPAF-winner AbdoKhal and Laila Ali Bin Hareb Al Muhairi, founder of ESA for Women (Empower, Support and Assistance for Women), pushing the number of authors past 160. Nearly 45 Emirati authors will participate in this year’s Dubai Airports-sponsored Emirati stand. The Festival will take place under the patronage of His Highness Shaikh Mohammad Bin Rashid Al Maktoum, UAE Vice-President and Prime Minister and Ruler of Dubai, and in partnership with Emirates and the Dubai Culture & Arts Authority (Dubai Culture). On the second day of the Literature Festival, March 5, visitors will see the the return of Desert Stanzas, a night of poetry and music under the stars with local and international poets Khalid Al Budoor, Frank Klötgen, Yan Li, Andrew Motion, Khulood Al Mu’alla and LemnSissay entertaining the audience in a traditional Arabic setting. The Murder Mystery Dinner, now in its second year, gives guests the chance to test their sleuthing skills as they try to solve a murder with the help of authors. History buffs will also be spoilt for choice with Kate Adie and Paddy Ashdown taking on the Second World War, David Heard and Frauke Heard-Bey talking about the progress of the UAE, William Sitwell documenting history through food, and Georgina Howell telling the remarkable story of English traveller Gertrude Bell, who played a large part in the establishment of the Iraqi government.